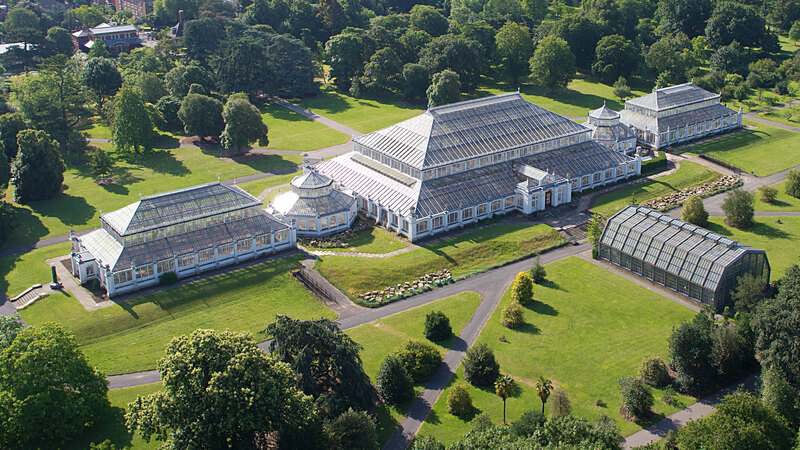 Founded in 1840, The Royal Botanic Gardens at Kew is one of the most extensive and important botanical gardens in the world, housing the “largest and most diverse botanical and mycological collections” around the globe. It’s quite frankly one of the most incredible gardens in the world, a stunning sanctuary less than 30 minutes from central London, Kew Gardens includes more than 30,000 different plants in its living collection, over 7 million preserved specimens and over 750,000 volumes and illustrations in its library. A UNESCO World Heritage Site, it’s also one of London’s most popular attractions with its legendary gardens. One of the walks in Kew at springtime. One of the top attactions however has been closed for restoration for several years, the Temperate House. Saturday 5th May 2018 saw the world’s largest Victorian glasshouse re-open after a wait. For the first time in its history, the Grade I-listed structure was “stripped back to bare metal” and modernised. More than 5,280 litres (1,160 gallons) of paint was used, enough to cover four football pitches, and 15,000 panes of glass replaced. The vast greenhouse is now home to a geographically arranged collection of 10,000 plants from of temperate climates around the world – areas sometimes described as “the Goldilocks zone” of the planet, where plants are safe from frost. These include some of the rarest and most threatened specimens, for which the botanic garden is a final refuge. Among the 1,500 different species of temperate plants is the extremely rare South African cycad Encephalartos woodii, a plant that has disappeared from the wild and is now found exclusively in botanic gardens and private collections. This tree has been dubbed “the loneliest plant in the world” because only male plants remain – each a clone of the specimen at Kew, which was collected in the middle of the 19th Century. Some plants contain both male and female parts, but this species requires a female to produce seeds. Plant-hunters are still searching for a female cycad so Encephalartos woodii can be bred. This higlights the role that Kew plays in being an insurance policy for the population of every one of the world’s most endangered plants. Some species of plants are down to a few individuals in the wild and this renders them prone to extinction in a wildfire or perhaps an earthquake and once they are gone, they have vanished forever with untold consequences for everyone and everything else. As well as the massive glasshouses and endless gardens, Kew even have a treetop walk which you can see in the video below. This entry was posted in Life, News and tagged Encephalartos woodii, Kew, Kew Gardens, London, Temperate House, The Royal Botanic Gardens, Travel. Bookmark the permalink. Do you know how they kept all these rare and fragile plants safe during the restoration?